The Salzburger Super Ski Card & Kitzbühler Alps AllStarCard brings ski enjoyment up to a whole new level, and must be the most flexible ski pass of all times. It opens up over 2,750 kilometres of beautifully prepared pistes and all the freedom in the snow that brings. You don’t need to worry about the weather holding out and whether it’s worth getting day pass. You can decide at the last minute where to carve your turns in the fresh snow, and no problem at all if you’ve settled in for a day on the slopes, but suddenly get the urge to try out another region. It is simply perfect for all those who just can’t get enough of skiing and snowboarding. Every skier knows what it’s like. You look up to the sky sceptically before scouring the weather report. The sun should actually drive the clouds away by midday but in actual fact it looks as though the day will bring a fresh layer of snow rather than sunshine. Is it worth investing in a day pass, or should you put it off until the coming weekend? Or how about that difficult decision of where to actually ski for the day? Your all-time favourite resort where you know every single piste, mound and hut like the back of your hand, or do you fancy trying something new and unknown? SalzburgerLand offers up endless possibilities in terms of ski resort variety, so it can be very difficult to know which to decide. The Super Ski Card puts an end to all these deliberations, as it covers SalzburgerLand and a few of the best ski areas of the neighbouring regions as well. Not only that, but you can buy it as a season pass or just subscribe for a certain number of days. That’s what we call pure freedom in the snow! SalzburgerLand is a byword for winter fun, and the region offers all manner of possibilities and variety for your ski and snowboarding adventure. Enjoy these to the max. Countless ski resorts, small, medium and large are just waiting to be discovered and enjoyed by winter sports enthusiasts. Precisely 1.140 km blue, 1,305 km red and a whopping 305 km black runs ensure that there’s something for every single level of experience and taste. This variety makes SalzburgerLand a paradise for all those looking for a bit of action-packed fun in the snow. The Super Ski Card was introduced in order to allow everybody to take in all the beauty and variety the region has to offer as well as helping everybody find something to suit their own level. 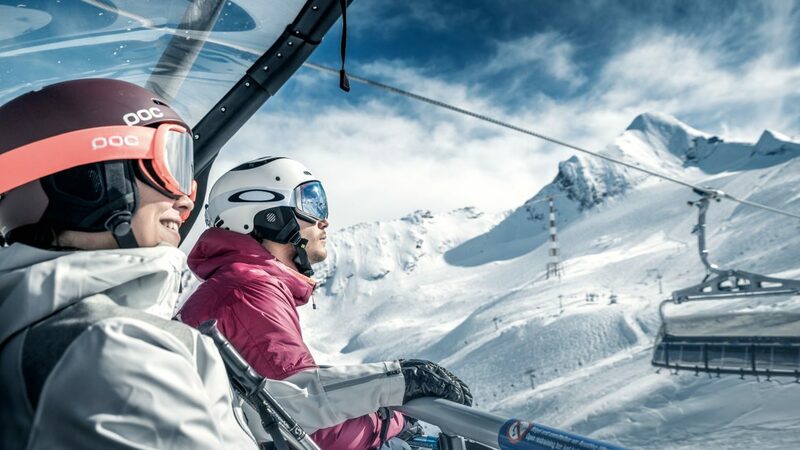 What’s more, the Kitzbühler Alps AllStarCard is joining up with the SSSC, extending the offer to an unbelievable 943 cable cars and lifts and 2,750 km of slopes. This card is just perfect for so many. For skiers and snowboarders who spend their entire winter on the slopes. With the option of getting from 1-day pass up to 14-day passes, you can tailor it perfectly to the length of your skiing break. It is, quite simply, affordable ski enjoyment at the highest level.